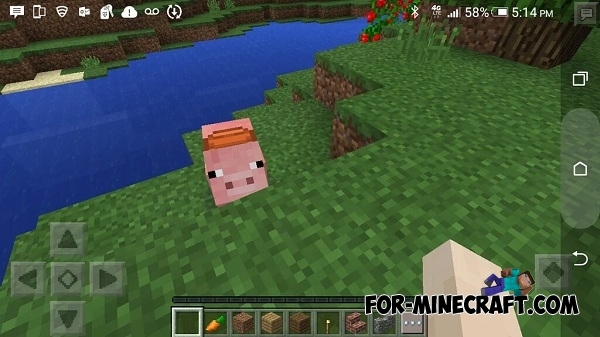 MCPE Developers have begun to share with new screenshots of the full version of Minecraft Pocket Edition 0.15.0! 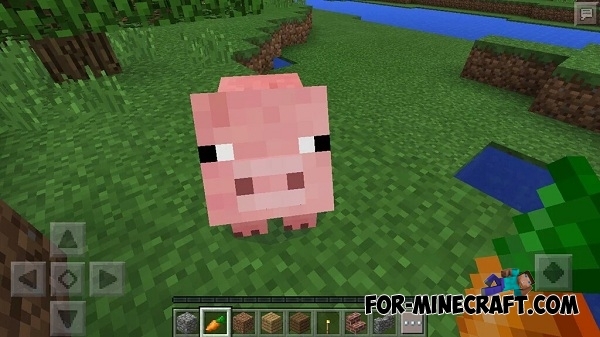 Jason Major posted new screenshots and finally left a small hint of the..
Mojang officially adds a carrot on a stick and the ability to ride a pigs (another allusion to the addition of the horse) in 0.15.0. In the screenshot below we see a «Boost» button. 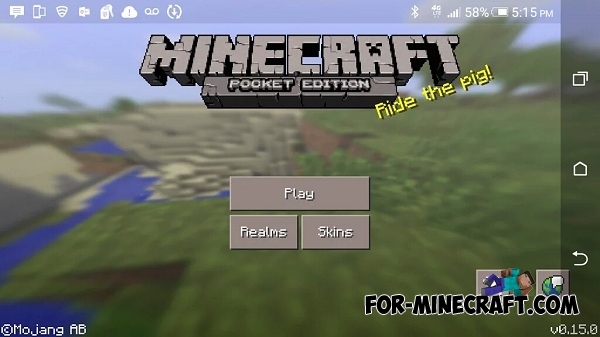 Finally Jason has posted a screenshot of the main menu of MCPE 0.15.0. Nothing has changed but we can see the "0.15.0" inscription without builds and we hoped that the full version will be released soon. Nn the meantime, Daniel Wustenhoff is developing a new block - "Observer", which will be similar to the piston but none of us have not seen anything like that yet. 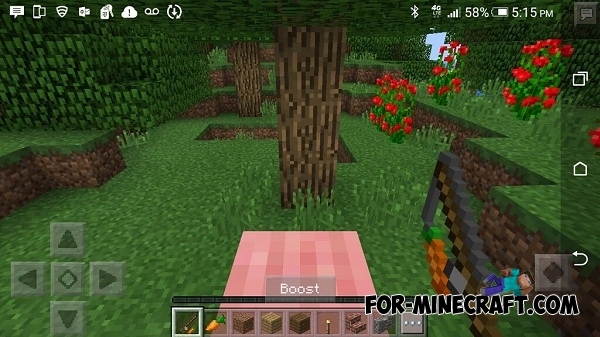 This block will look like in the screenshot below. Pretty cute, huh? The release date is still unknown but you can see the full list of changes here.